Whether you are a regular at your local Sporting Clays course or a novice shooter just getting started in the sport, you cannot go wrong with Fiocchi White Rino. Designed with shotgun sports in mind, these 12ga shotshells feature 1-1/8oz. of #7.5 lead shot. Fiocchi packs each 2-3/4 in. 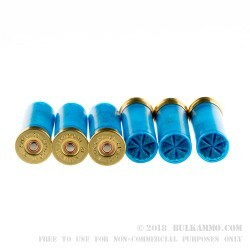 polymer shell with a dependable primer and a powerful powder load that rockets the payload from the muzzle at 1250 fps. 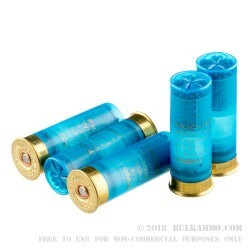 These shotshells produce a modest recoil, so shooters who compete for hours on end will appreciate this 12ga ammo. Fiocchi is currently headquartered in Lecco, Italy. The majority of their ammo is produced at their manufacturing plant in Ozark, MO, which means more American shooters can get their hands on this exceedingly affordable ammo. 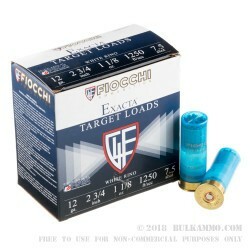 Order a few 25-round boxes of this 12ga ammo, and get to the Sporting Clays course ASAP!